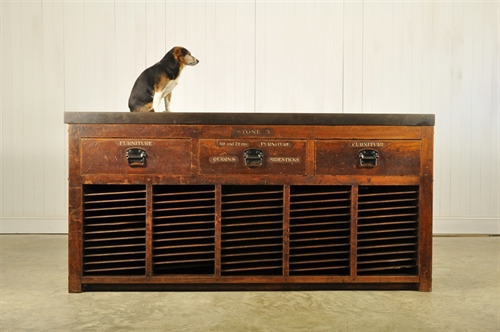 1920's Typesetters Table by Calson and Co - Original House – Decorative Antiques, Vintage Industrial Furniture and Lighting, Cotswolds. 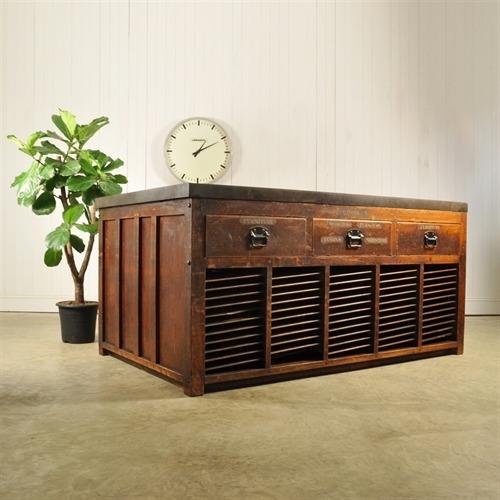 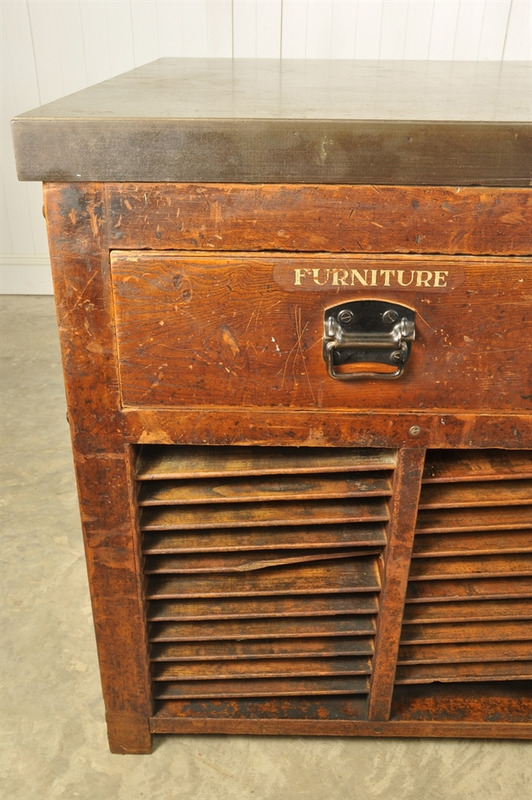 This wonderful piece of antique furniture was produced by H.W.Caslon and Co in the 1920's. 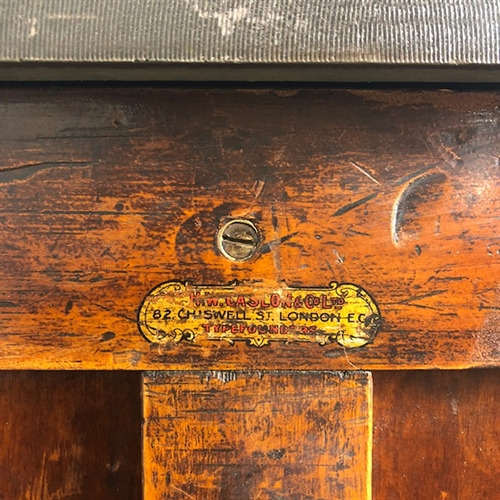 H.W.Caslon and Co was founded in 1716. William Caslon was an English gunsmith and designer of typefaces. 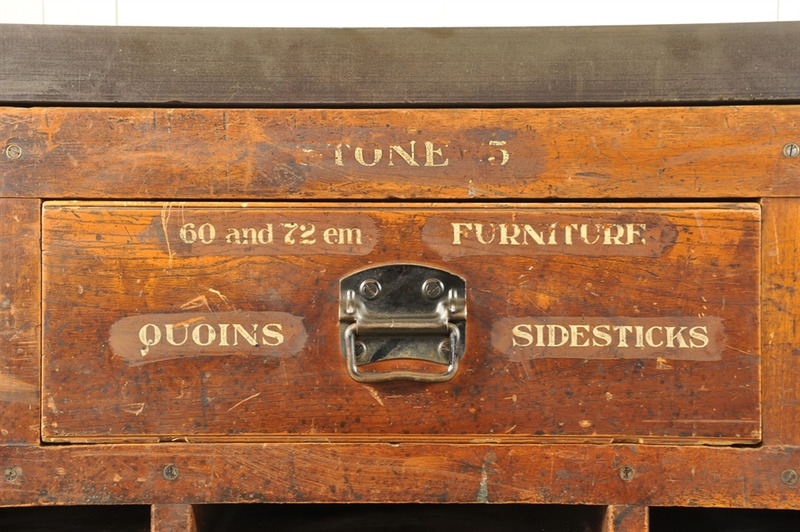 Caslon typefaces were immediately popular and used for many important printed works, including the first printed version of the United States Declaration of Independence. 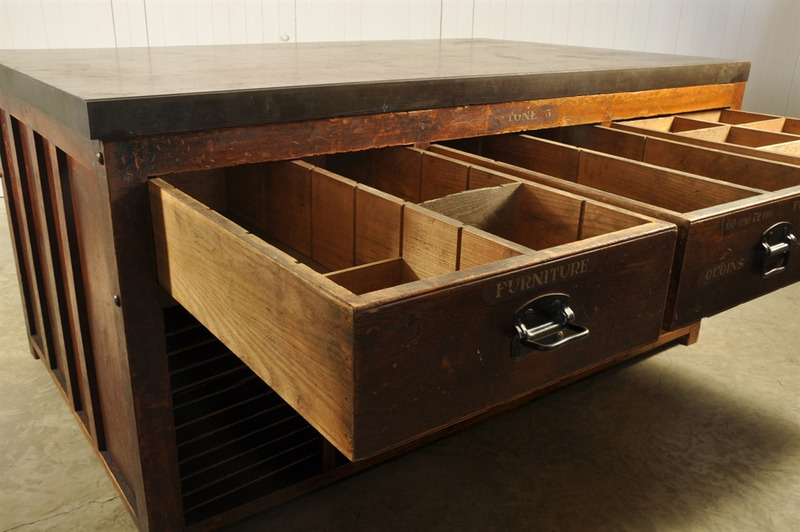 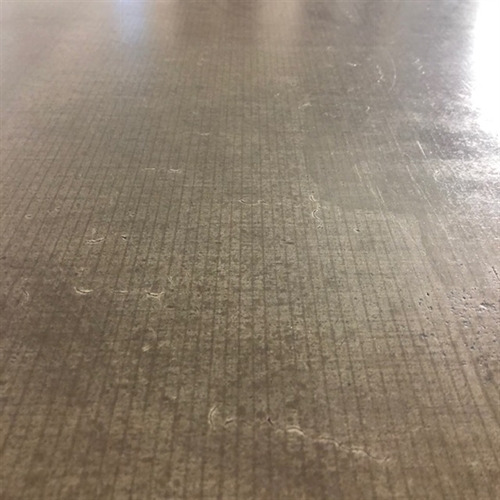 With its milled flat cast iron top, this table was used for composing type within an iron chase. These chases were stored in the shallow shelves. 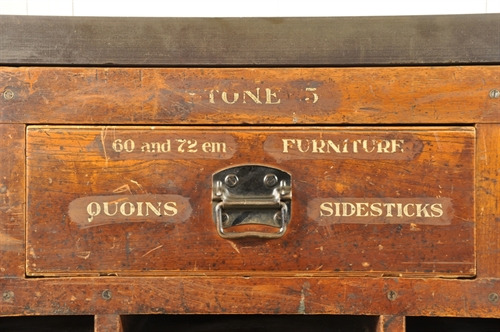 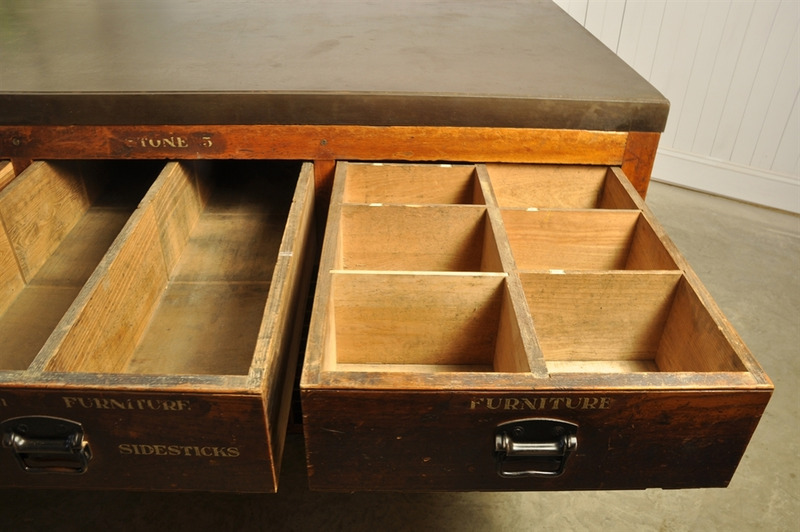 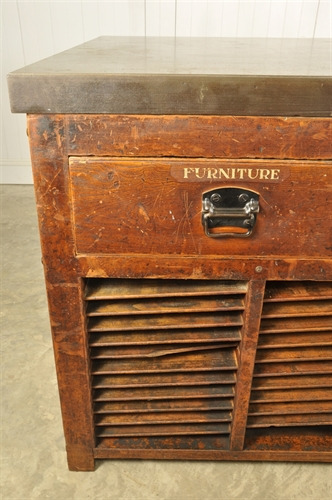 The drawers, which open on either side are labeled with 'furniture ', 'quoins' and 'sidesticks', which were the components used to pack the type into the case and hold it in position. 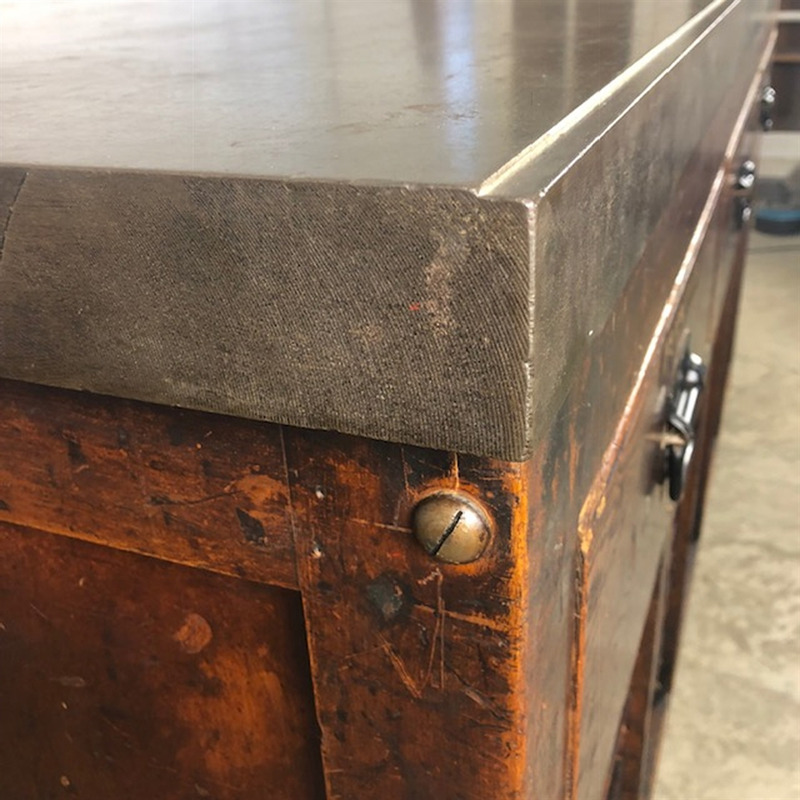 The table is completely authentic with no restoration - very sturdy with a few bumps and scrapes and a natural patina that it has picked up over the years. 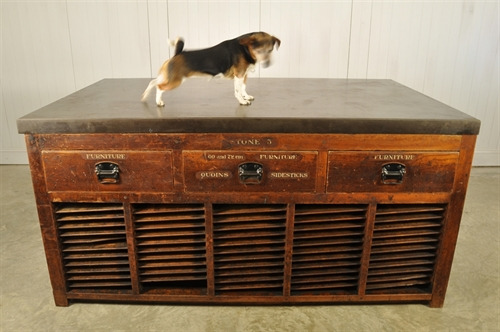 Please note that it is extremely heavy, approximately 400 kg and will need a forklift to move. 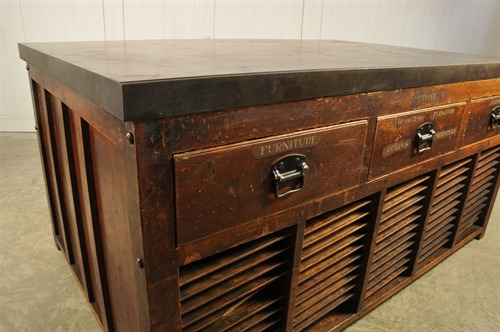 The cast iron top is lightly oiled and should be kept slightly oiled. 99 cm h x 203 l x 127 w.
A once in a lifetime find for us.